Peter Watts' book on Battersea Power Station tells the tale of the Pink Floyd's escaped pig. This fascinating music industry database lists some album covers I shot, including one I didn't, it's an illustration by Colin Elgin. 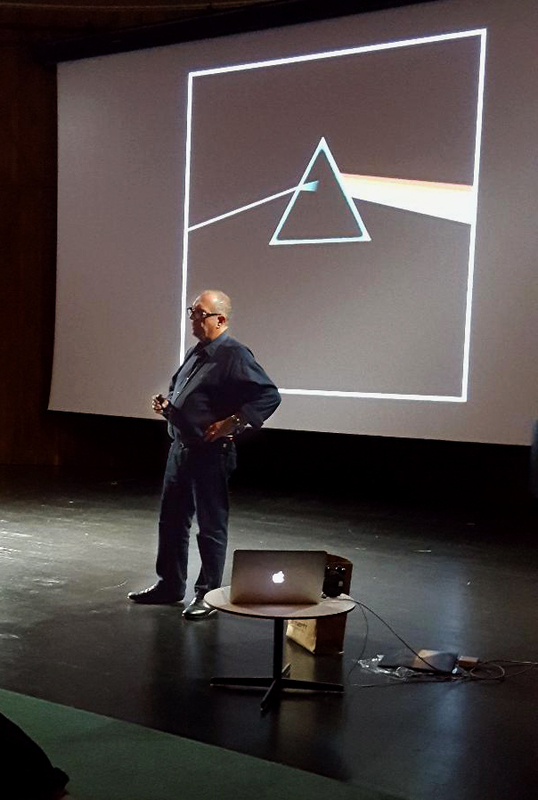 Po (Aubrey Powell of Hipgnosis) giving a fascinating talk on album cover design and history at the V&A. And reviewing his (and a little bit of mine) work. Part of the Pink Floyd's Mortal Remains, exhibition. With my old college friend Howard Bartrop, taker of the iconic Animals Power Station cover image. I was contacted by a french writer about the Crooked Mile cover I shot for Microdisney back in the 1980s. It's featured here, scroll down through the french bit to get the english translation. No one gives much thought to the hundreds of advertising images I shot, the album covers are frequently reviewed. Gives a form of longevity and illusion of immortality. We get excited about digital tech - but this is scanned from a glass neg shot in 1937 found in a box in an attic.